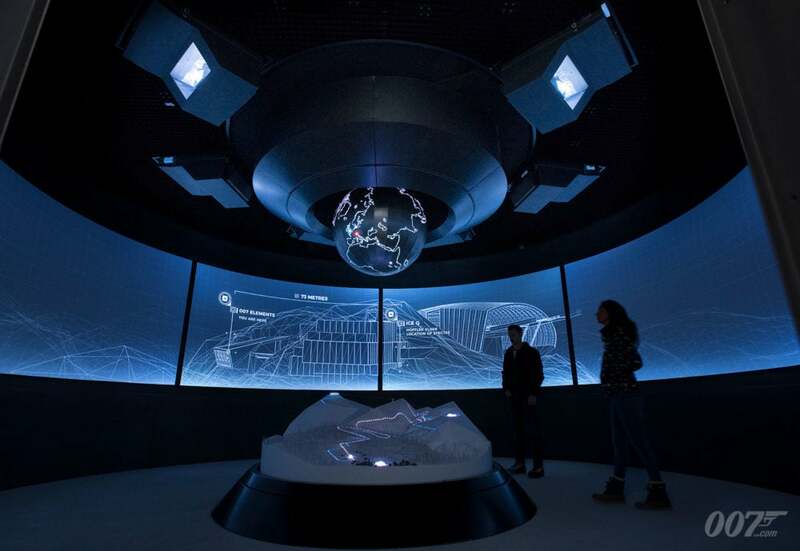 New images have been released of the interior of 007 ELEMENTS, the new James Bond cinematic installation built inside the summit of the Gaislachkogl Mountain in Sölden, Austria. 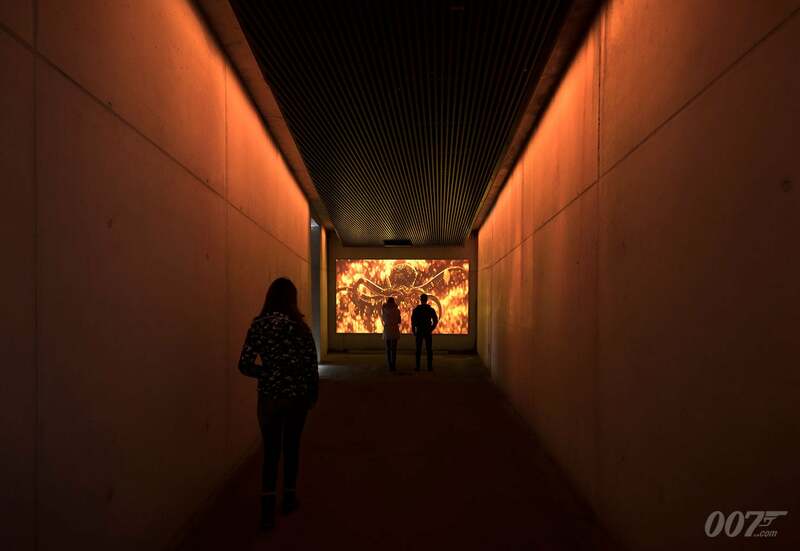 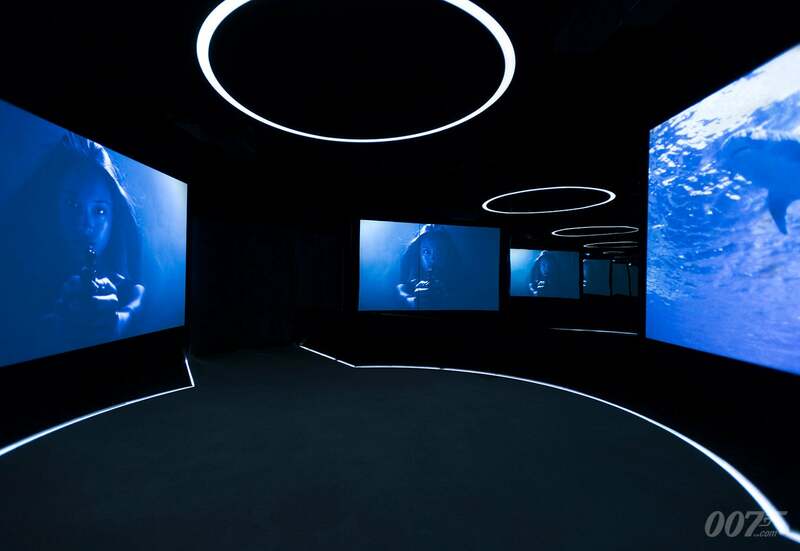 Housed in a striking new architectural structure, designed and created by Obermoser Architects, 007 ELEMENTS is an interactive, immersive and educational experience that places visitors inside the world of 007 while revealing how that world is made. 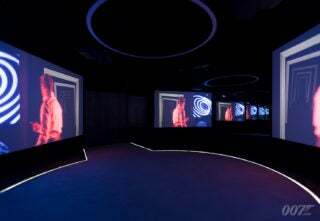 It opens to the public on 12 July 2018. 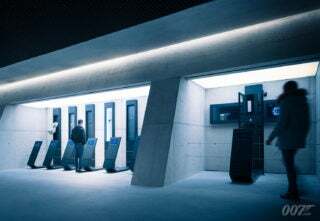 Visitors enter 007 ELEMENTS via the Barrel of the Gun, an atmospheric anteroom. 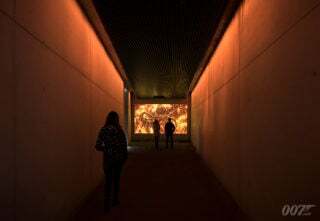 This space focuses on two fundamentals that are synonymous with the James Bond films, innovative title sequences and dramatic, spine-tingling music. In the open-air Plaza, the imposing angles of the building’s architecture frame the mountain panorama. 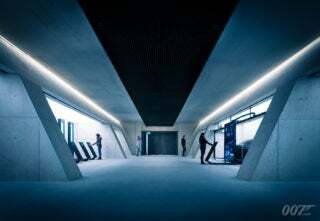 The sharp angles recall the work of famed Bond Production Designer Sir Ken Adam who was the primary influence on the building’s design. The Lobby echoes the type of antechamber that Bond often enters upon his arrival at a villain’s lair. 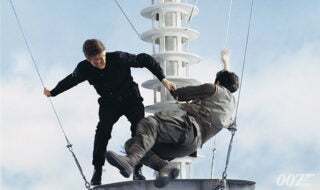 It features an exclusive film that is narrated by SKYFALL and SPECTRE Director Sam Mendes, which takes the visitor through the history of the James Bond films, from DR. NO to SPECTRE. 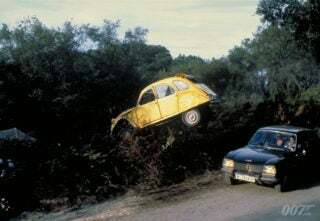 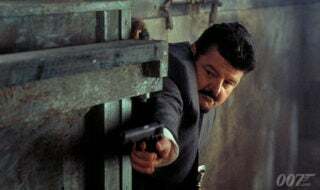 Mendes also describes his own personal connection to the series. This room features an innovative piece of immersive digital theatre designed to showcase the characters and dialogue from the Bond films in a fresh and exciting way. 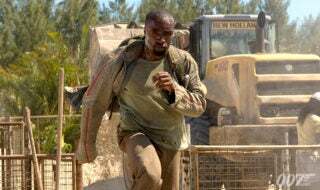 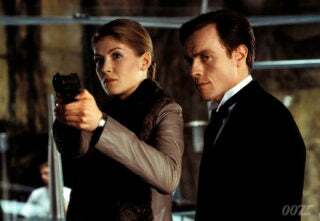 Actress Naomie Harris, who plays Moneypenny, narrates an exclusive film that explains how the series’ scriptwriting has led to location choices, and how these locations have, in turn, inspired some of the series’ most iconic studio sets. Special attention is given to the locations that form the story-scape for Spectre’s Austrian action sequence. 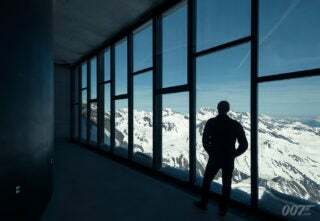 This spectacular glass viewing space looks north over the Gletscherstraße, a filming location that was used in SPECTRE. 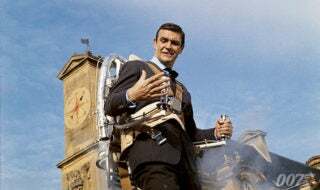 The Tech Lab explores some of the cutting-edge technology that features in the Bond films. 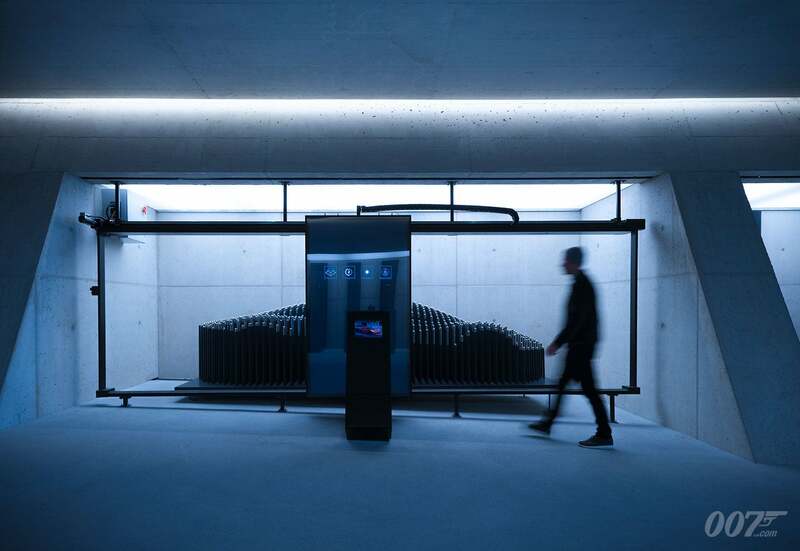 This state-of-the-art space allows visitors to interact with the technology and to explore some of the legacy props and digital creativity used in a James Bond production. 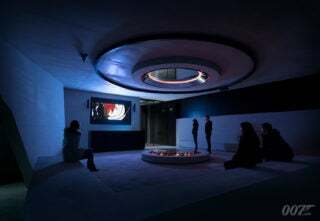 This is an installation that centres on the work of the special effects and stunt departments. 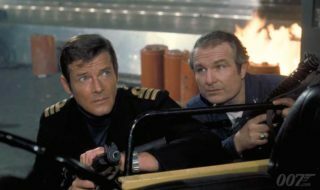 It features the front portion of the aircraft that Bond pilots in SPECTRE. 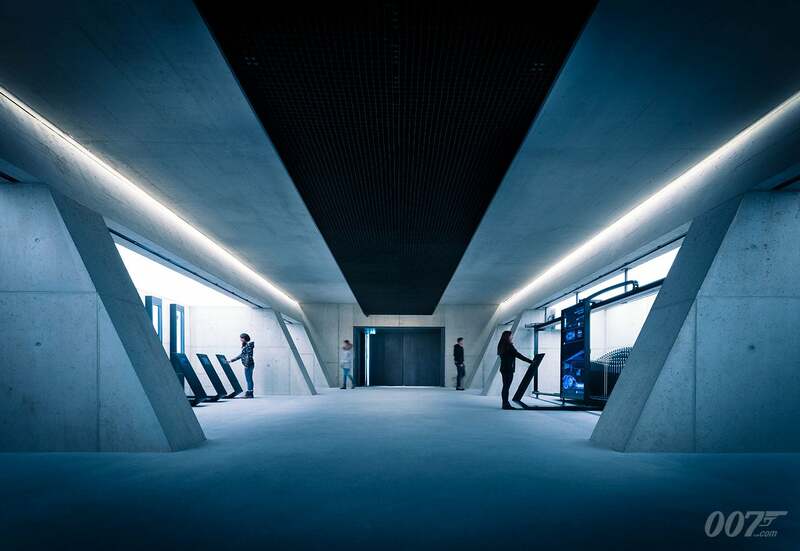 Visitors will also get a behind-the-scenes look at the exact make-up of SPECTRE’s thrilling mountain chase sequence. 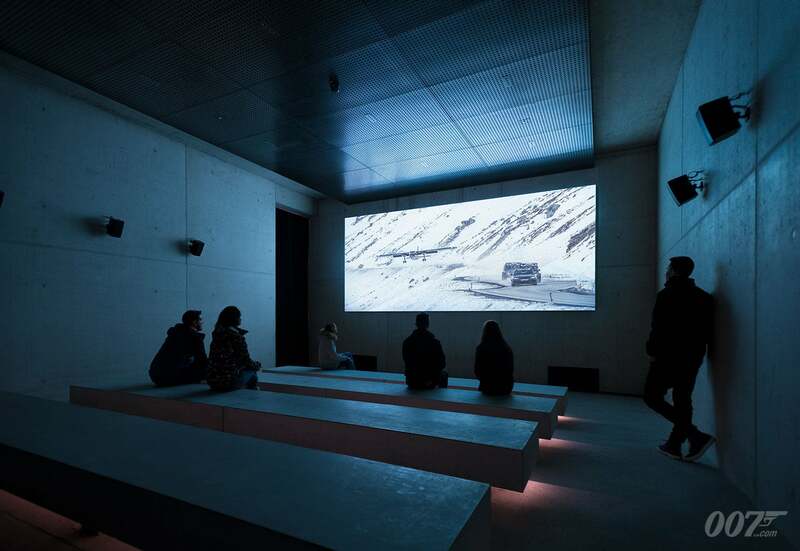 In the Screening Room guests can watch the Austrian action sequence from SPECTRE with a fresh understanding of how it was created. 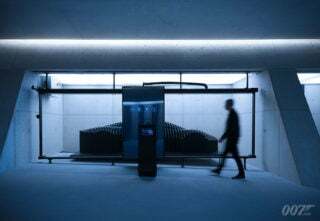 The Legacy Gallery allows visitors to discover an extensive 007 archive through interactive touch screens that dip into EON Productions’ archive vault. 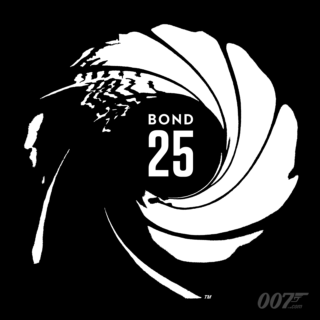 Exclusive 007 merchandise is also available for purchase.